First I have to say thanks to Joshua for the lovely Christmas present, thanks again Josh. 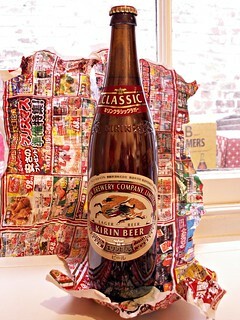 I have had a few beers from Japan, in fact Josh also brought me some back last year, so I will include them as well. I will start with the new ones though. 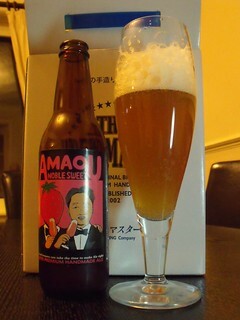 5.0% gold colour wit ha nice head, sweet fruit and yeast aroma, bitter sweet Belgian blonde taste, best Japanese beer I have had to date. 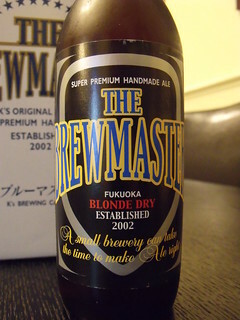 From their web site, The Brewmaster started as a handcraft microbrewery in Fukuoka, Kyushu Island in 2002. 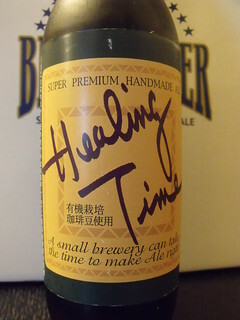 Only a small brewery like us can create handcrafted, tasty and joyful beer-ale. 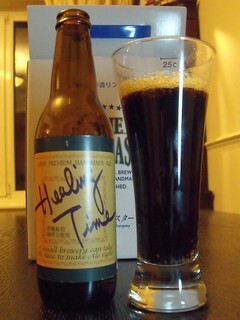 5.0% black with a quickly dissipating head, bitter fruit aroma, fizzy bitter tart taste with a coffee after-taste. 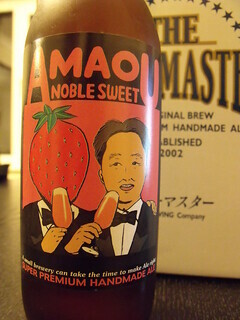 4.0% hazy pink colour with a nice head, bitter strawberry aroma, some strawberry in the sweet but tart taste. 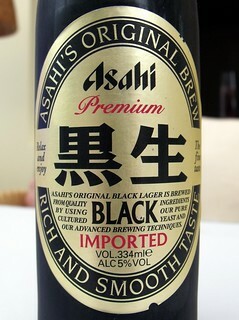 I let Dot drink this one. 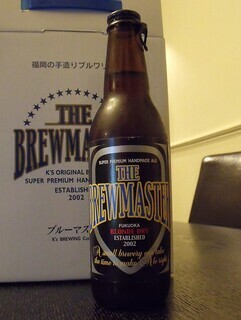 4.5% gold colour with a very thin head, slightly sweet malt aroma, slightly sweet lager taste. 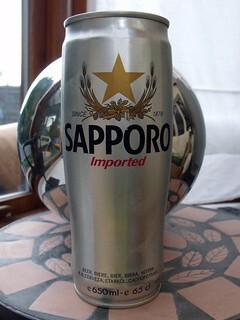 I may as well carry on with the rest of the Japanese beers I have tried. 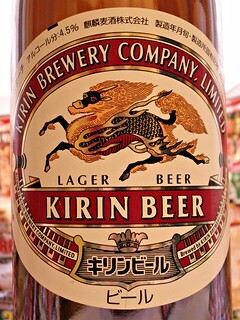 5.0% pale yellow colour with no head, sweet malt aroma, slightly sweet with a slight caramel taste. 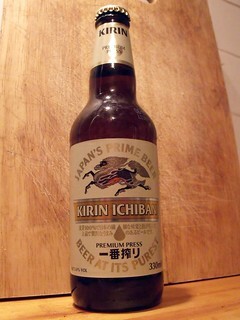 Although I have had the Japanese version, this one was brewed in England by Wells & Youngs. 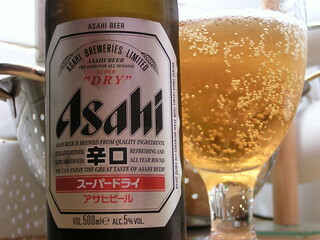 5.0% pale yellow colour with no head, sweet malt aroma, slightly sweet with a slight orange taste. 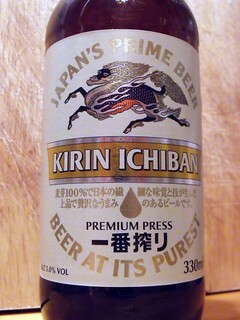 As with the last one, this was not brewed in Japan but in Canada although again I have had the original. 5.0%, pale yellow no head, not much aroma (what smell it did have reminded me of pub toilets), tastes like slightly sweet over carbonated mineral water but dry. I have read reports that state it is refreshing, well so is water and that costs less. 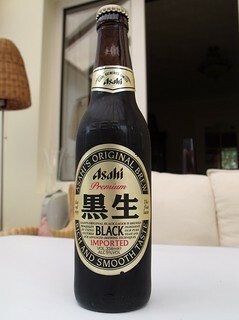 5.0% dark brown colour with a thin head, roast malt aroma, roasted smoky malt taste, it was a lot better than their Super Dry.